Sometimes, elegance can be tricky to live with – just think of all the precious crystal and linen that your grandmother would never let you touch! Ann Gish’s bedding is different, however: it’s elegance you can comfortably live with, made with luxury fabrics that you won’t be afraid to dive on to at the end of a long day. Ann has decked out the bedrooms of celebrities in the past, and is a bit of a guru when it comes to fine fabrics – now, it’s your turn to experience her creations. 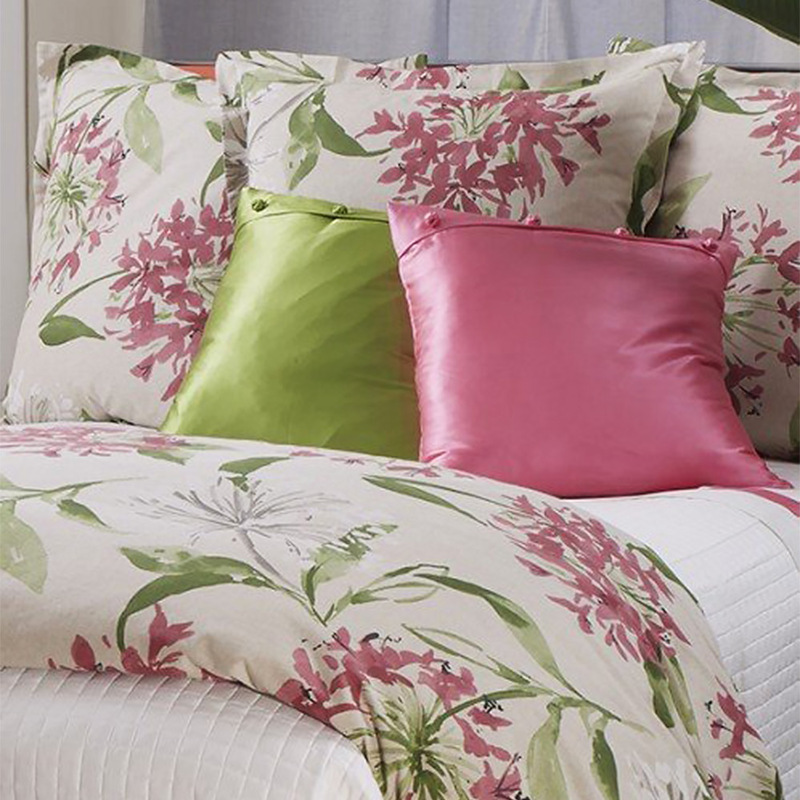 Decorate your home with Ann Gish' delightful Palm Spring design bedding. This beautiful, decorative collection is crafted from only the finest materials to ensure lasting quality. A lovely scene of vibrant greens and gentle pinks, this quilt set will enhance any interior aesthetic with delicacy and charm. Quilt set with matching shams. Made from a blend of 80% cotton and 20% polyester. Quilt covers backed in cotton twill fabric with zipper closures. King shams have secure zip closures. Includes two 50 x 90cm king-sized shams. Please Note: The green and pink cushions in the image above are for illustrative purposes only and are not included.